The Mane Objective: The BEST Protein-Free Products for Growing Long Natural Hair! The BEST Protein-Free Products for Growing Long Natural Hair! I've been singing Honey by Mariah Carey nonstop. And rapping the Ma$e verse, because the only version of the song that matters is the Bad Boy remix. 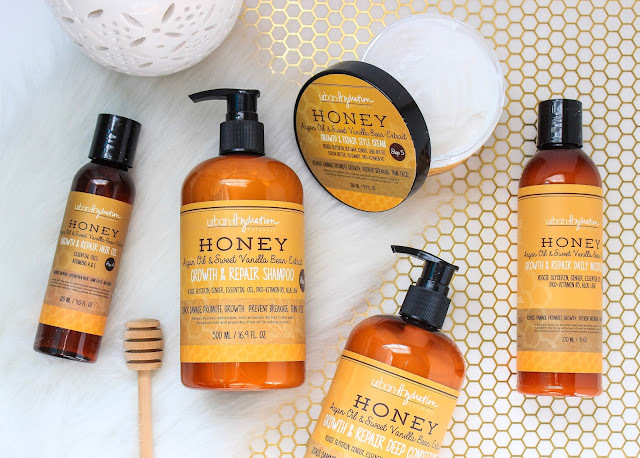 Now that' we've got that out of the way, I'm going to share the 411 on the new Urban Hydration Naturals Honey Growth & Repair Collection - and why I've become utterly obsessed with it. 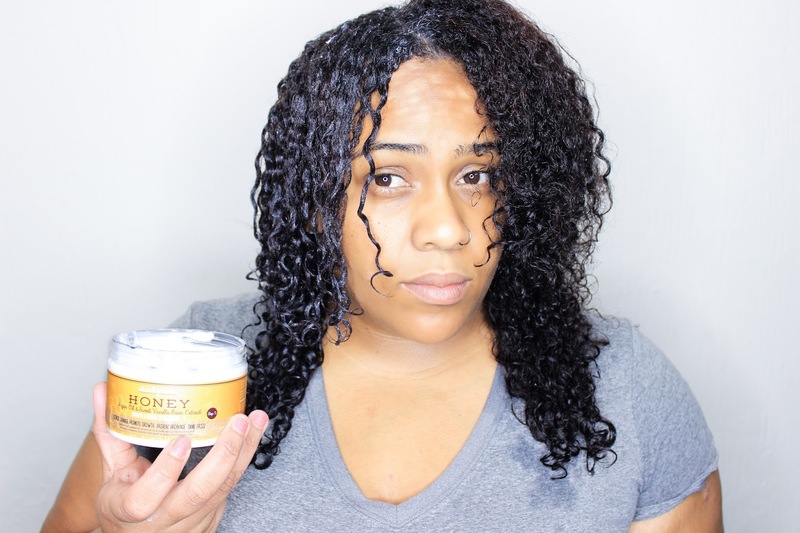 Unfortunately, the Honey Growth & Repair Curly Jelly was out of stock - hopefully it'll be back soon and I can get my hands on it. But if it's annnnnnything like the Coconut Oil Curl Defining Gel that I reviewed a few months ago, I'm gonna need a lifetime supply. If you've been searching for a low porosity friendly, protein-free haircare line that strengthens and restores elasticity while moisturizing, THIS IS IT. You're going to NEED the Honey Growth & Repair line ASAP. Every product penetrates deeply, moisturizes, and helps prevent breakage - leading to longer, stronger, healthier natural hair. I NEVER WANT TO RUN OUT OF THIS SHAMPOO. Like, ever. Literally, love at first pump. The Honey Growth & Repair Shampoo is soooooo silky smooth, it's insane. Definitely one of those shampoos with magical slip. And I don't know what kind of sorcery they've got going on at Urban Hydration HQ, but this shampoo made my curls POP! Upon rinsing, my curls felt soft, strong, and smooth from root to ends. 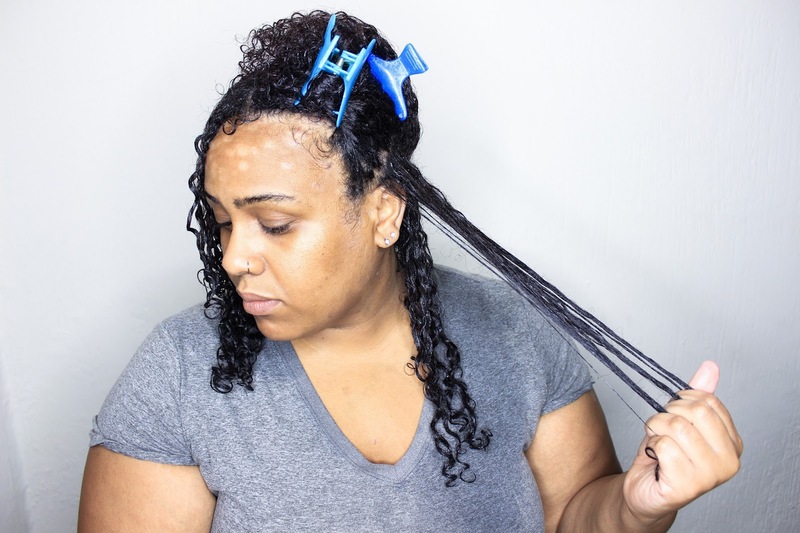 My scalp was clean, and nor my scalp or hair felt stripped. Y'all, I'm trying to curtail my product junkie ways, but this shampoo is immediately up there with the Koils By Nature Cleanser. Like, instant 2018 hitta. My hair was not dried out, crispy, or weird feeling. This shampoo is like butta! Phenoxyethanol: A glycol ether preservative alternative to parabens. Just when I thought my wash day had peaked, Urban Hydration had another trick up their sleeve. I've been waiting to experience a deep conditioner from them, and let me tell YOU! The Honey Growth & Repair Deep conditioner is literally LIFE. It's got crazy slip, tons of moisture, and feels super creamy going onto the hair. If you're looking for a deep conditioner to help strengthen and restore elasticity without containing protein, this is IT. I love that the shampoo and deep conditioner are so generously sized. 16.9oz of deep conditioner for $15 is practically unheard of. And let me be the first to say - it's worth every single penny. My hair felt sooooooo soft, strong, and hydrated after rinsing y'all.... I had a Mariah moment and tried to hit some high key adlibs at the sink. It was a mess, but my curls were poppin'. DMDM Hydantoin: Preservative and antimicrobial. So rich. So creamy. So much moisture. Honestly, I'm about 2 seconds from using the Honey Growth & Repair Daily Moisturizer on my skin as lotion. It's super smooth, and defrizzes while moisturizing. This multi-functional product works as a moisturizer or leave-in conditioner, and I've used it as both. A little bit goes a long way, and it plays nicely with other stylers! 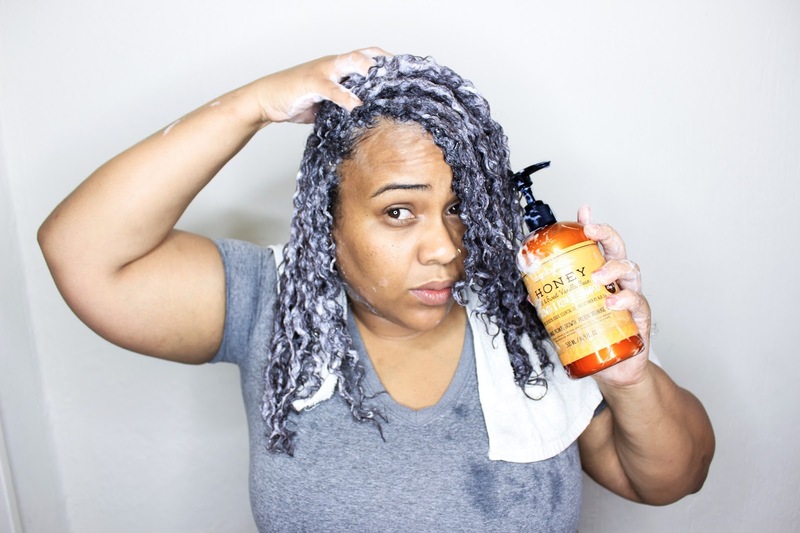 Even though it's thick and creamy, it easily penetrates the low porosity sections of my hair, which makes it an ideal prep product for wash and go styles. I've met the PERFECT styling cream to tame my curls!!! Listen, y'all.The styling cream is suuuuuper creamy and rich, without being greasy. It captures and defines my curls, and creates the perfect foundation for poppin' curls. My only regret is that I don't have the Honey Curly Jelly to pair it with. I had to use Eco Styler (red lid) gel, and it worked so well. 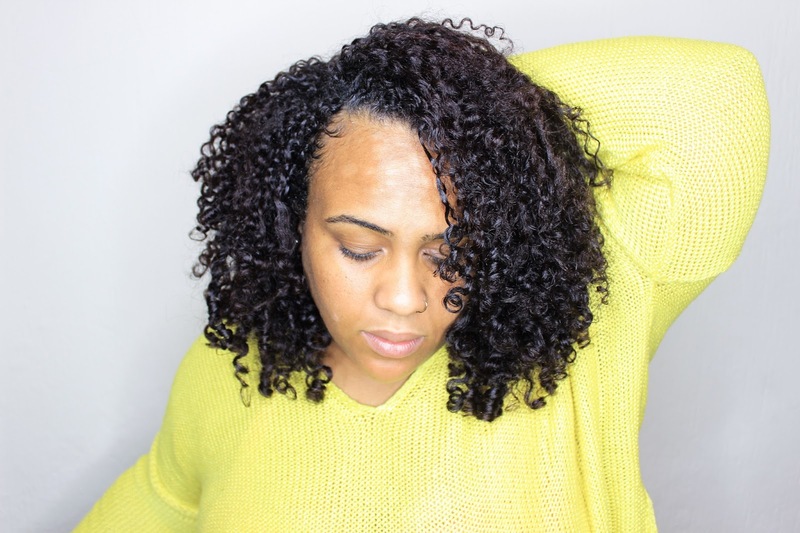 Eco Styler is notoriously drying, and thanks to the Style Cream and Daily Moisturizer, my curls stayed hydrated and touchable for days on end. The definition I achieved would NOT have been possible without the Styling Cream. Do y'all see this definition? This shine? This curl poppage? UNREAL. This hair and scalp friendly oil functions less like an oil and more like a lightweight serum. It doesn't make my hair feel greasy or shiny at all. Like the entire line, it carries a light and sweet vanilla aroma that's not at all heavy and it does not linger. Overall, the Hair Oil provides brilliant, natural shine while locking in moisture for days. I used it to seal in the Daily Moisturizing and styling cream, and a few days later to help boost shine. Both times, my hair responded beautifully with enhanced sheen and zero greasiness. The results are IN! Oh HONEY!!!!! Clearly, I'm beyond in love with the Honey Growth & Repair line. It made my curls feel hydrated and strong, with the perfect balance between moisture and elasticity. My hair had a very natural luster and sheen, without feeling greasy or weighed down. The products played beautifully together as a collection, but are stellar stand-outs on their own. At this point in the review, I'd normally tell you what my essential/top 2-3 products are. I'm so sorry o disappoint y'all, but this is one of those "you need the whole thing" collections. I LOVE the shampoo and deep conditioner. I'm obsessed with the styling products. I cannot wait to get my grubby lil' hands on the Curly Jelly. Try 'em one at a time if you must. But just make sure you try them all. Next, I gotta get my hands on that new JBCO collection! 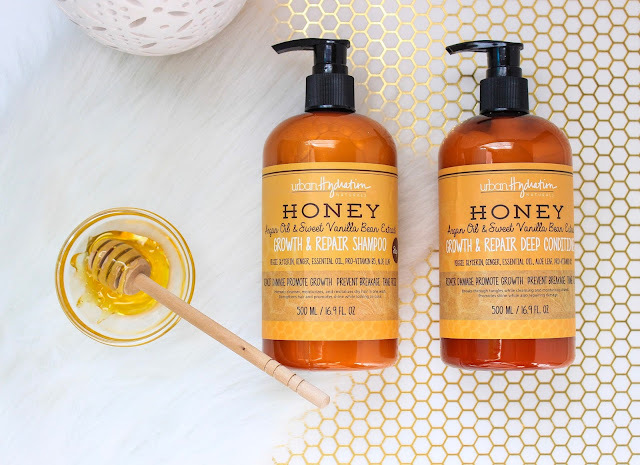 Will you be giving Urban Hydration Honey Growth & Repair line a try? Let me know in the comments below! This post is sponsored by Urban Hydration Naturals and contains affiliate links. I would love to buy this line, but it is not sold in Oregon! Please tell the businesses that you work with, that there is a thriving Natural Hair community here in Portland, and Salem, Oregon. We have multiple Sally Beauty Supply stores, JC Penny’s etc. Thank you! Unknown, you can buy the line on the Urban Hydration website. Very nice hair care product! Thank you! Actual information! I know where you can find the speedy paper discount code welcome to WritingPaperSucks! I love this review, than you! Get help with any type of assignments from this essay writing service.